Talent INC. is very serious about education. Ben Yang of Wilhelmina Models in New York attended our spring showcase to educate our performers about the world of fashion and runway. In this interactive workshop, Mr. Yang discussed the realities of a working model. He also personally coached our performers on the techniques of a proper runway walk. This experience was priceless information on attitude, body positions and the secrets to walking in a modern runway audition or show. Ben Yang moved to New York from China four years ago. Since that time he has been working in both markets. His multi-cultural background helps him better understand working with international models and clients. His main focus is on the Asian Market, and scouting models from China, Korea, Thailand, etc. He is also responsible for placing models in Asian markets for development. 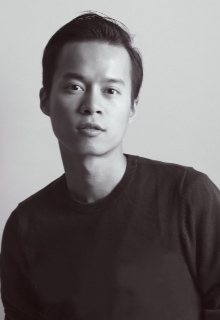 During his time working at Wilhelmina Models, he has scouted and developed models like Lu Ping Wang (who has modeled for Dior, Chanel, Vera Wang and Michael Kors), Qi Wen Feng (who has modeled for Louis Vuitton, Elie Saab and Roberto Cavalli) and countless other up and coming talent.